This is a big topic and so relevant to us in our society that I have divided into two parts. Let’s get the terminology right first. Skin lightening as the name implies is the process of lightening your skin by a couple of shades or more. Skin bleaching is the process of attempting to strip your skin completely of melanin. This process is very dangerous, invasive and can lead to many unwanted side effects. Skin toning is a colloquial term that implies the lightening of the tone/shade of your skin. FYI, skin toning is also the process of balancing the ph of your skin with the application of a toner which is a liquid agent usually applied to the face after washing using a cotton ball or pad. However, In Nigeria Toning is almost always referring to skin lightening. Why do we feel that lighter skin is better, what makes us assume that a light skinned person is always more appealing than a darker skinned person? The answer is obviously centuries old…..When our ancestors were living in Africa centuries ago there was no light skin/dark skin debate until the white man arrived on the shores of our continent and abducted a vast majority of Africans as slaves. Everyone knows the degradation, segregation, humiliation and plight of the enslaved black man up to and especially after the abolition of slavery. The white slave masters regularly impregnated their African female slaves leading to the birth of children with light skin who got more privileges than their dark skinned neighbours and so the idea that light skin is better took hold and grew in bounds. Obviously at the time, being lighter meant an easier smoother ride in life. This belief system has taken root deep down and has evolved to fair/light skin being the standard of beauty. As we who remained back in Africa became more westernised all in the name of growth and development; this way of thinking has completely pervaded our society. A lot of education has gone on in recent time to disabuse ourselves of this notion but like I said it is ingrained and will take time for us to shake it off. True Beauty is in healthy, glowing, radiant, blemish free skin irrespective of the shade. We need to love ourselves wholly and totally in whatever skin colour we have been given. We MUST teach our sons and daughters to love themselves as they are. It is a journey but if we keep passing the message along, we will get there. Even in Asia, lighter skin depicts wealth and status while dark skin depicts poverty and servitude especially in India. That is one of the reasons Asia is the world leader in all things skin lightening. To be clear Skin bleaching is not acceptable in any form or way. This is when you want to change your skin colour totally and go from being a dark or medium toned individual to a light skinned person. This is dangerous and completely unsustainable. However, there is nothing wrong in wanting to maintain the natural radiance of your complexion. As we age, our skin naturally darkens especially on the exposed areas of our bodies; one can safely lighten these areas to maintain our complexions. Hyperpigmentation (skin darkening which can be localised or diffuse i.e. covering a large area) is one of the major complaints of ethnic skin. I mentioned this in my article where I listed the differences between ethnic and Caucasian skin. • Inflammation such as acne, insect bite, injury, inflammatory skin conditions. Everyone notices a natural darkening of the skin following hours of sun exposure. If you look at your inner arms or thighs, most times these areas are lighter than your neck, arms and face. Examples of drugs which may cause skin darkening include; anti-seizure drugs like phenytoin, antipsychotics like chlorpromazine, antimalarial (chloroquine) NSAIDs (non-steroidal anti-inflammatory drugs), Amiodarone, cytotoxic drugs, Sulphonamides. These are a few examples of the more common drugs that can cause hyper pigmentation but note that it is not a given in all cases; individual response varies. For those of you whose grandparents are still alive, I am sure you would have noticed that they are significantly darker than when they were younger; you may observe this from old pictures or comments from your parents or other relations. This is age related physiological darkening and is completely normal. Healing occurs after any inflammatory assault (acne, insect bite, injury) on the skin, which in turn can lead to scarring and hyperpigmentation. Remember I told you ethnic skin is more prone to post inflammatory hyper pigmentation as compared to Caucasian skin. So, the point of all the above is that darkening of the skin occurs so the desire to lighten is not only understandable but sometimes necessary. The question then becomes how we achieve skin lightening naturally and safely. In part 2 of this topic, I will exhaustively go through the different types of lightning agents, safety and efficacy, how to use for best results. I will highlight the dangerous lightening agents and why you should avoid them. Till next time, keep putting your best face forward! Dr Ebele Ugochukwu obtained her medical degree from the University of Jos, Plateau State, Nigeria. She later obtained a diploma in practical dermatology from University of Cardiff Wales. 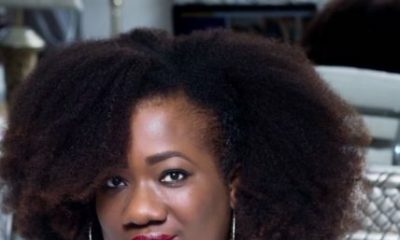 She is the MD of Sleek Studio Ltd, a company that specializes in the sales and marketing of Sleek Makeup from the UK and the company owned skin care line. She has experimented extensively with different skin care formulations and brands. Her qualifications and years of experience has led to her interest and devotion to cosmetic dermatology. 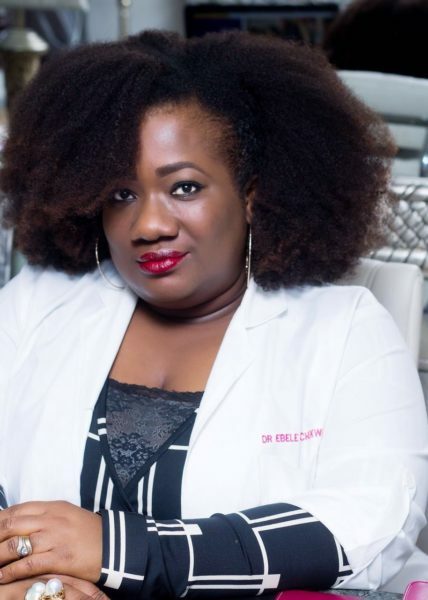 Dissemination of Healthy skin care practises is the goal of Dr Ebele and she intends to achieve this by providing training, workshops and seminars to educate the Nigerian public. Beautiful article, thank you Dr Ebele, looking forward to part 2. Well done Dr Ebele. I am proud of you. Good health is paramount. All these people pleasing and forcing acceptance are not necessary. May we not realize at age 80. God made me beautiful and I will maintain it properly. Thank you for this article.. i had a baby n suffered from really bad pigmention since then.. my feet was also swollen..infact i was swollen all over. now its gone down its noticeable its a bit darker.. i was very down about this n my doctor prescribed skin lightening lotion to even my complexion out. Even she admitted i am about 2 shades darker. she specificically said no harsh chemical and no hydroquine.. i must admit my skin is 90percent better now.. when i told a friend she said i must be bleaching.. i said no .. am still the same colour just a bit more even n brighter.. still very much dark skin.. sad to hear a friend be nasty to me.. but 3 months later she is asking me if she can buy the same product but not on prescription.. i then realised a lot of accusations with regards to bleaching comes from envy. Thanks for re-emphasising what a glory healthy skin is. To think that in the west, there’s rising morbidity and mortality in a goal to darken their skin, and here. A thing of golden beauty-collagen rich, melanin producing black skin is being deliberately stripped and degraded of its natural resources – this is just a euphemism for the whole of Africa and post-colonial reactive inferiority complex that is unfortunately proving resistant to treatment and has resurfaced with vengeance! I just think that if you have never suffered from low esteem as a result of bad skin, you will never understand why ‘some people’ go the extra mile to bleach, lighten their skin. When I started having issues with my skin, the only available options to clear my pimples and spots were skin lightening products. And yes, they cleared my skin for a while, my skin looked clearer and people did not get all irritated by my skin anymore. The problem is that I just stopped because I read many things about skin lightening products. It scared me enough to stop. But now, each day my skin gets worse. I can’t look in the mirror. Self esteem is so low, I feel defeated. I wake up every single day with a new pimple or rash that leaves my face really irritating and makes my spots multiply. Now even if I had enough money to visit the dermatologist (which I don’t) am I guranteed a clearer skin and is it possible to totally clear my skin. Most people say to clear your skin, it has to get lighter. Years have passed me, I have been down and gone because of bad skin and God knows, if I had the money I don’t mind going to Pela just to feel better about myself. The depression is real. Dr. You have to realise, I had no sense of low self-esteem before my bad skin. No low self esteem at all. I have drank buckets of water. Used lemon. Shea butter. Coconut oil. Exercise. White and neat towels. Fruits. Stopped oil intake- good dieting. These are all natural remedies I could afford, they did nothing at all!!!! I would have loved my dark skin if it was not this complicated and agonizing. That is the only reason, I would be willing to change my skin colour, not because I want to impress others, because I want to be happy. Too many happy years have passed me. And you can also just walk into any Health Plus pharmacy, try the one at La Palms Mall Lekki, and speak to the pharmacist (the pharmacists, the ones in white coats, not the helpers in blue, I don’t know what they’re called) and describe your skin issues and all what you’ve tried and ask them to recommend to you., Whatever the drugs and treatment they recommend, ask them how much they cost, also ask if there are cheaper generic alternatives to what they first suggest, write everything down, and if you can’t afford their own price, at least you have the information and you can get the drugs elsewhere. But do thank them and do explain that you can’t afford the prices and will have to try to get them elsewhere. And DO try to ensure you buy SOMETHING, even if it’s only chewing gum or a cold Coke from them. And remember them for when God upgrades your life; not that I pray sickness for you but at you could patronise them for vitamins. I sympathise with you because I have been challenged with dermatitis as far back as my very earliest memories of childhood. Basically, it’s a medical term for a range of allergic/inflammatory skin conditions that are non-curable (by medical science – medical science said THERE IS NO CURE – but not by God my Healer. My expectation is on Him as I continue to use what He has given wisdom and ingenuity to discover.) but controllable. Small itchy rash, like the appearance of heat rash, darkening, and it would get excessive, of the skin, dryness; hair loss (scalp is skin). I’ve been on cortocisteroidal drugs, creams for years and antihistamines. And yes, I did see one of the very best dermatogists in Nigeria at the time, a lady professor, and also saw one of the best in the UK, another lady doctor on Harley street, London, that was over two decades ago. Sometimes, the my skin would get darker but I wouldn’t use the medication because I wasn’t feeling the itchiness or I could bear it. Sometimes, my skin would be itchy and I’d be using the drugs and getting really, really lighter-skinned but unable to ease off because the itchiness had not stopped. My skin colour in childhood, and in secondary school are different from now. Even up to my entrance into Uni, it was as if my skin colour was that of two different people. My skin colour on body parts not exposed to the sun was several shades, not just slightly lighter, than parts with sun exposure. My entire thighs, not just the inner thigh, looked like Toke Makinwa’s skin colour (to use someone you’d know of) and on the inner thigh which were so light-skinned, so pale, you could see the blue of my veins. Same with other non-exposed parts. My face and arms and legs were like milk chocolate. After 4 years of miniskirts in Uni, my thighs became tanned and the lighter shade does not appear so extreme now. Also, I got on medication whilst in Uni so that simultaneously was evening everywhere else lighter as my thighs got ‘darker’. At least once, over a decade after Uni, I remember going out in the sun for about an hour and a half, walking, and was so shocked when I returned and looked at myself in the mirror. My skin was like three shades darker. I knew I was seeing something that just wasn’t normal. Tanning is one thing. That was something entirely different. I have had to apply the drugs in their liquid applications/lotions on my scalp also. Only my late mother and I think, my late dad also, to a small degree, but really my late mom, knew I had this ailment. Even my mom didn’t know for very many years after Uni that I still battled with it. She just assumed it had been a childhood thing and had cleared up. She didn’t know I had been on medication still all those years. I’m an extremely private person. My siblings don’t have a clue. Do people think I’m bleaching? I don’t know. I’m not the kind of person it’s easy to approach with that. Only a couple of close friends know the deal. One is late now and was a pharmacist. People admire my beauty, my style, and when I give glory to God, some think I’m just being religious, especially when they compliment my skin! When they say they “”tap”” into my beauty and I vehemently tell them to just pray to God directly as I do and get their own directly from Him, some refuse to hear Word. For so many years, from my teens, I’ve been asking God what is my true colour? In the four or so years after Uni when I was so fed up (I had a lot of internal rage on the issue), I wasn’t using the medication, my skin was so dark and rough and terrible. People would anonymously send creams, lotions to me. I have cried to God for years, as my Creator, to restore my skin (and me and my entire life, in fact, even my blood and entire bloodline) to His Divine Blueprint, His Divine Factory Settings, to manifest me in my true God-given colours to all, to manifest and restore me in my own and true and new skin from Him permanently, completely and irreversibly. “”Thou art all fair, my love; there is no spot in thee.”” King James Bible. Thank you for the advice you have given her and also for sharing, successfully managing/treating some skin conditions can be so expensive. As a sebopsoriasis sufferer (seborrheic dermatitis + psoriasis), I truly understand this. I am truly happy for you that you could keep this under wraps. Mine developed at 20 so when all my hair had to be shaved off from the severe flare-ups, I couldn’t keep it under wraps; I was in Uni and close friends noticed. It completely changed me and the way I lived my life (more introverted/less open). It used to be so annoying when I would have very clear skin from trying new medications and people would insinuate that I was bleaching/toning. But they don’t know/understand what you have to do to get to that point (having to change medication/treatments periodically, trying to find the right doctors to work with), only to then go back to crazy skin. Now in my 30s, I am determined it wouldn’t have as much influence on my life/wallet as it did in my 20s. First off, do you know your skin type? I suffered from severe acne because I was using the wrong products on my very sensitive skin. Find out what skin type you have, it does help a lot. And I didn’t need to go to a doctor for that, do your research online and you should also pray ok.
BN and dear writer, please what is university of Cardiff? There is no such university. I am a Cardiff Uni alumna, we don’t joke with the name of our school, if that is where you studied. I apologise for writing an article under your article. I apologise. I am sorry, didn’t know what I was even doing. @I have this to say.Its ok to rant when frustrated.I dont think anyone will pick offence with such a heartfelt comment.Sometimes pimples are hormonal.So all the washing and lightening in the world will not help. Now I know that ligthening creams such as tempovate etc reduce hormonal pimples especially when used with good disinfectants and topical antibiotics. Steriods conincidentally have a lightening effect.So its not the lightening per say that is reducing the pimples but the steriods. Now i know that aome lightening creams dont list steriods on their label so one easy way to know is by how fast it works.Steriods work really rapidly! If you want a steriod that is not too lightening you can try hydroquinone sold in pharmacies but beware of fakes! Ultimately I pray you get the money for a dermatologist to do proper evaluation of your skin and give you the right treatment. Everyone deserves to love the skin they are in. Please BN post this I made a horrible error? I’d be interesting to see what Dr Ebele recommends… here’s one I found earlier. If it doesn’t work for u, check out SBM Naturals on Facebook, her products also work. Gosh, Dr. Ebere has this stare in her eyes that pierces through your lies, if you’re saying any and makes you say the truth immediately instead. She’s beautiful in her own right! Well done Dr. Ebele Ugochukwu. I’m really proud of you and what you’re doing wirh Sleek Studios. Thank you so much Dr Ebele for this beautiful article…..but what causes dark knuckles at the fingers and how can I get rid of it ? And what products could help one main to her skin color including the face without getting irritation?? I’m really proud of you and what you’re doing with Sleek Studios. So I learnt today ,that before the coming 9f the white man to Africa, we were all black like charcoal ehn kwanu? Issokay. Thanks for this Ebele. While we have always had light skinned people in Nigeria the thirst for bleaching is at an all time high. People like you who are black and beautiful show that it is possible to have nice skin without necessarily altering your asking tone. Also like you said the issue of Hyper pigmentation is one a lot of women struggle with especially after having children and thankfully there are products which can help with this . Well done for all you doing to educate women more about their skin. Many thanks everyone for the kind comments. @Dr Aderemi Kalejaiye, Thank you so much my mentor Dr. Kay; you taught me most of what I know about dermatology. @Ihavethistosay; I am sorry for all your skin troubles, I will be happy to help you and waive consultation fees. call 08033014091 to book an appointment. don’t lose hope, most cosmetic skin issues can be remedied with patience, consistency and the right products. @yoyo, please look out for the part 2 of this article; most of the compounds you mentioned in your comment are dangerous and should not be used on the skin without strict supervision from a doctor. @A.M please read the article properly, I said before the advent of the white man in Africa, there was no lightskin/blackskin debate meaning that one was not considered better than the other.